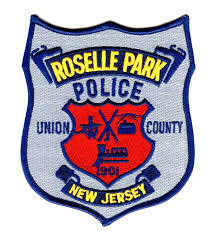 Roselle Park may be the most lopsided municipality in Union County for criminal charges and motor vehicle tickets. The borough only measures 1.23 square miles yet over 5,000 traffic summonses and 1,000 criminal complaints are filed there every year. Whether you were charged with possession of 5o grams or less of marijuana, driving while suspended, disorderly conduct, obstructing the administration of law or another offense in Roselle Park, you share plenty of company. What is pivotal is that you separate yourself from the pack by retaining a knowledgeable defense attorney to defend your case in Roselle Municipal Court. The Law Offices of Jonathan F. Marshall is a team of eight criminal lawyers, including several former prosecutors, who have handled just about every charge. Lawyers are available for free consultations around the clock by contacting our Union NJ Office. A lawyer is available now at 908-272-1700 to assist you. Court Sessions : Thursdays at 9:30 a.m.
Judge : Gary Bundy, Esq. Prosecutor : Richard Huxford, Esq. 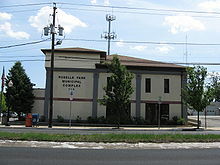 What Charges Are Heard In Roselle Park Municipal Court? Disorderly persons and petty disorderly persons offenses, as well as traffic violations, are heard in this court. This includes summonses and complaints issued by not only the Roselle Park Police Department but also those written by the New Jersey State Police and NJ Transit. The reason why we clarify this point is because a stretch of the Garden State Parkway, which is patrolled by state police rather than local officers, skirts the Roselle Park and any tickets or arrests made in this zone are heard in this court. The same is true for tickets and charges made by NJ Transit Officers overseeing service on the Raritan Valley Line to and from the Roselle Park Train Station. If you were arrested for allegedly committing an indictable offense, namely, a crime of the first, second, third or fourth degree, your case will not be heard in this court. The Roselle Park Municipal Court has no jurisdiction to preside over felony proceedings, with exception of an initial arraignment, as the Union County Superior Court has jurisdiction over these cases. The most common charges falling within this category include drug distribution, possession of cocaine and other hard drugs, aggravated assault, eluding and burglary. How Can I Avoid A Conviction? All too often, individuals assume that a conviction is inevitable and that little can be done to avoid this outcome. This is clearly erroneous thinking. Police officers make mistakes just like all of us and the members of the Roselle Park Police Department are no different. It isn’t uncommon for a traffic stop, search of an apartment, or other stage of an arrest to be conducted improperly. And even when a mistake cannot be identified, you should know that our attorneys are nevertheless able to avoid conviction in the majority of disorderly persons and traffic cases. Domestic violence related charges like simple assault or harassment frequently end in a dismissal. Other results include reducing the offense to a local ordinance, something that negates a criminal record. The point to keep in mind is that you certainly have a better chance than not or leaving court with no criminal record based on our lawyer’s prior record of success in Roselle Park. Will I Have A Record If I Am Convicted? The truth is that a conviction for any 2C offense results in a record that will show up on a criminal background check. What this means is that a prospective employer or licensing board will have the ability to see that you were convicted of an offense like possession of marijuana, lewdness, etc. This certainly could effect their decision-making so it is clearly in your best interest to insure that you are found not guilty. There is every incentive for you to do what you can to avoid a conviction in Roselle Park. By calling our firm and taking advantage of a free consultation with our criminal defense lawyers, you are significantly increasing the chances of achieving this result. As previously stated, the attorneys on staff at The Law Offices of Jonathan F. Marshall are able to avoid a conviction in most Roselle Park traffic and disorderly persons cases. If you would like to speak to a lawyer at the firm, call 908-272-1700. We will review the facts surrounding your case and provide you with our advice for defending the charge.